These muffins are the don’t judge a book by its cover of the baked goods world. While they’re nothing special to look at, they taste amazing, especially when they’re still warm. Soft, tender, and delicious! And with ingredients you probably have in your cupboard and fridge already, there’s no extra trip to the store. If you’re not going to eat them all right away, you can easily freeze them. I wrapped each muffin individually in plastic wrap, then put them all in a ziploc bag in the freezer. I love the option of being able to pull one out when I want it. Preheat the oven to 425°F. Lightly grease a standard muffin tin. Or line with 12 paper or silicone muffin cups, and grease the cups with non-stick vegetable oil spray; this will ensure that they peel off the muffins nicely. In a medium-sized mixing bowl, cream together the butter, vegetable oil, and sugars till smooth. Add the eggs, beating to combine. Stir in the baking powder, baking soda, nutmeg, salt, and vanilla. Stir the flour into the butter mixture alternately with the milk, beginning and ending with the flour and making sure everything is thoroughly combined. Spoon the batter evenly into the prepared pan, filling the cups nearly full. Bake the muffins for 15 to 17 minutes, or until they’re a pale golden brown and a cake tester inserted into the middle of one of the center muffins comes out clean. Remove them from the oven, and let them cool for a couple of minutes, or until you can handle them. While they’re cooling, melt the butter for the topping (this is easily done in the microwave). 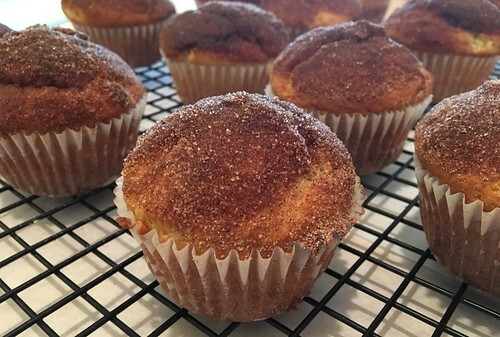 Dip the tops of muffins into the melted butter, then roll in the cinnamon-sugar. Serve warm, or cool on a rack and wrap airtight. Store for a day or so at room temperature. 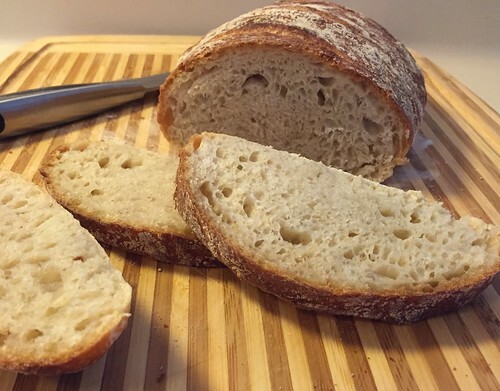 Recipe from King Arthur Flour. You may remember last year, when I received a ton of candy corn from Brach’s. Well, the nice people at Ferrara reached out again and offered to send me some candy from their Black Forest Organic line. 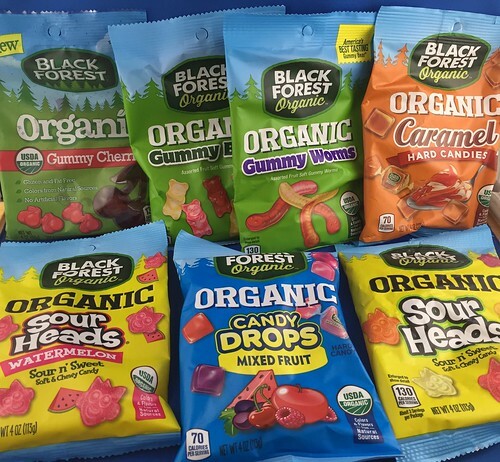 It’s USDA certified organic candy that is allergen free, GMO free, and made from natural colors and flavors. And because I love candy and was excited to try something new, I of course said yes, please send it. Wellll…I wasn’t expecting that “some candy” was THIRTY POUNDS OF CANDY. Yes, you read that correctly. 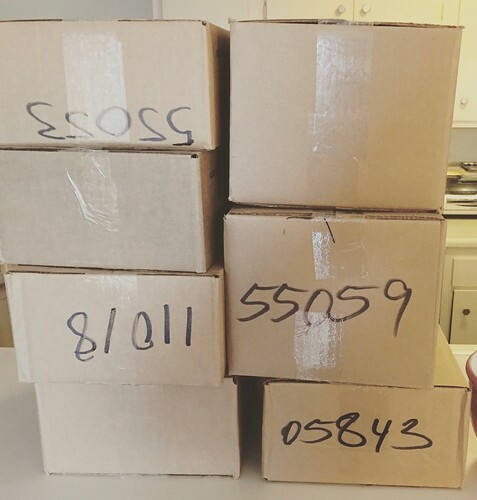 I received seven cases/30 pounds of candy. It was like I won the candy lottery! For the past month, I’ve been giving friends bags and bags, and everyone has reported back that they love not only the flavor, but also love that it’s organic! 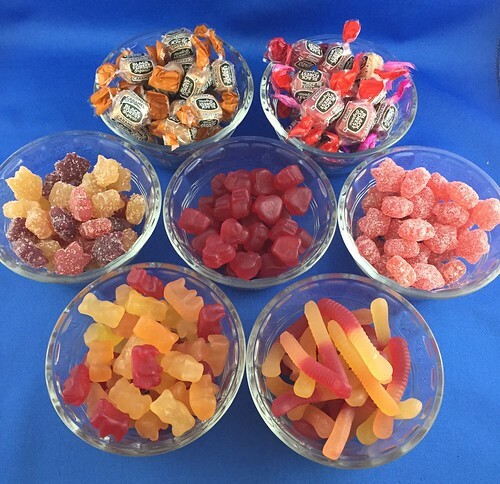 I received seven different varieties: Gummy Cherries, Gummy Bears, Gummy Worms, Caramel Hard Candy, Watermelon Sour Heads, Mixed Fruit Candy Drops, and Sour Heads. My favorites are the gummy cherries and watermelon Sour Heads, but I’m partial to red or pink gummy candies in general. 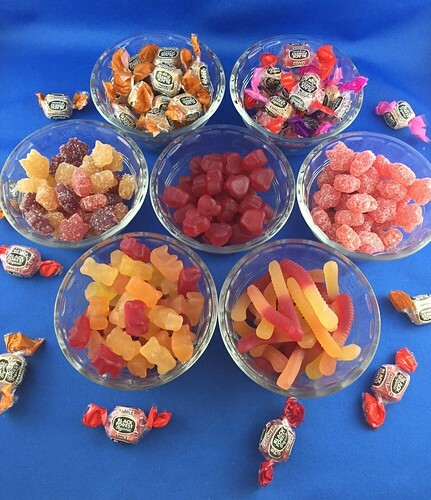 As you can see in the picture, the colors are slightly muted compared to gummy candy that you’re used to. That’s because there’s no chemical food coloring in the candy, just natural colors and flavors. And they taste amazing! And because the folks at Black Forest Organic are so nice, they’re sending candy to two lucky winners. Enter below (U.S. residents only), and make sure to follow them on social! 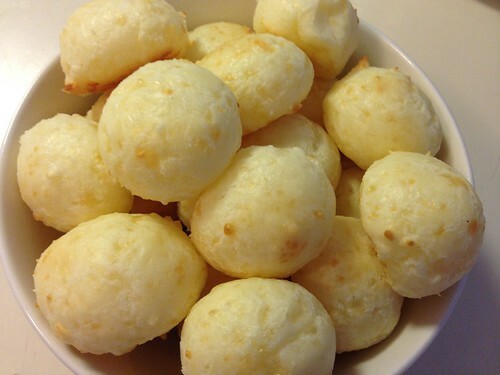 I’ve made this recipe a bunch of times in the last few months, it is so easy and so good! Don’t be scared by the long instructions, it’s actually not many steps and there’s only a few minutes of hands-on time. Each batch makes 3-4 loaves, depending on how large you make them, and you can shape them into rounds or a loaf shape. When the bread is fresh from the oven, the outside is crusty and the inside is soft and it just screams for a good butter. Or balsamic and olive oil. Or really anything! Since I couldn’t eat the entire loaf right away, I ended up slicing it, flash freezing each slice, then freezing everything and pulling slices out as I needed them. One of the great things about this recipe is that you can easily add different mix-ins to customize your loaves. So far, I’ve added cheddar and jalapeños, but I have plans to add cinnamon-sugar next. There are so many flavor possibilities here! ***Before you start, you’ll want to read all of King Arthur Flour’s tips, because they’re super important and will make the whole process even easier. Combine all of the ingredients in a large mixing bowl, or a large (6-quart), food-safe plastic bucket. Mix and stir everything together to make a very sticky, rough dough. If you have a stand mixer, beat at medium speed with the beater blade for 30 to 60 seconds. If you don’t have a mixer, just stir-stir-stir with a big spoon or dough whisk until everything is combined. Next, you’re going to let the dough rise. If you’ve made the dough in a plastic bucket, you’re all set — just let it stay there, covering the bucket with a lid or plastic wrap; a shower cap actually works well here. If you’ve made the dough in a bowl that’s not at least 6-quart capacity, transfer it to a large bowl; it’s going to rise a lot. There’s no need to grease the bowl, though you can if you like; it makes it a bit easier to get the dough out when it’s time to bake bread. Cover the bowl or bucket, and let the dough rise at room temperature for 2 hours. Then refrigerate it for at least 2 hours, or for up to about 7 days. (If you’re pressed for time, skip the room-temperature rise, and stick it right into the fridge). The longer you keep it in the fridge, the tangier it’ll get; if you chill it for 7 days, it will taste like sourdough. Over the course of the first day or so, it’ll rise, then fall. That’s OK; that’s what it’s supposed to do. When you’re ready to make bread, sprinkle the top of the dough with flour; this will make it easier to grab a hunk. Grease your hands, and pull off about 1/4 to 1/3 of the dough — a 14-ounce to 19-ounce piece, if you have a scale. It’ll be about the size of a softball, or a large grapefruit. Plop the sticky dough onto a floured work surface, and round it into a ball, or a longer log. Don’t fuss around trying to make it perfect; just do the best you can. Place the loaf on a piece of parchment (if you’re going to use a baking stone); or onto a lightly greased or parchment-lined baking sheet. Sift a light coating of flour over the top; this will help keep the bread moist as it rests before baking. Let the loaf warm to room temperature and rise; this should take about 60 minutes (or longer, up to a couple of hours, if your house is cool). It won’t appear to rise upwards that much; rather, it’ll seem to settle and expand. Preheat your oven to 450°F while the loaf rests. If you’re using a baking stone, position it on a middle rack while the oven preheats. Place a shallow metal or cast iron pan (not glass, Pyrex, or ceramic) on the lowest oven rack, and have 1 cup of hot water ready to go. When you’re ready to bake, take a sharp knife and slash the bread 2 or 3 times, making a cut about 1/2″ deep. The bread may deflate a bit; that’s OK, it’ll pick right up in the hot oven. Place the bread in the oven — onto the baking stone, if you’re using one, or simply onto a middle rack, if it’s on a pan — and carefully pour the 1 cup hot water into the shallow pan on the rack beneath. It’ll bubble and steam; close the oven door quickly. Bake the bread for 25 to 35 minutes, until it’s a deep, golden brown. Remove the bread from the oven, and cool it on a rack. Store leftover bread in a plastic bag at room temperature. Recipe by King Arthur Flour. Passover is fast approaching, and here are my favorite recipes from over the years. 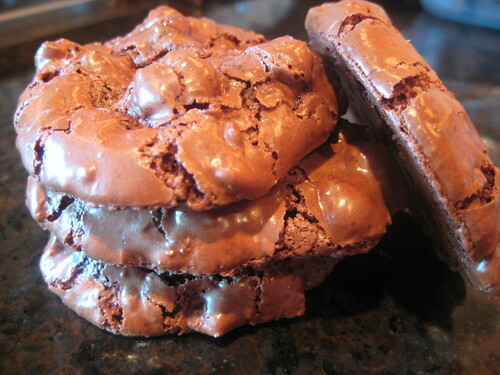 The Flourless Chocolate Walnut Cookies, Chocolate Chip Meringues, and the Brazilian Cheese Bread are all non-Passover recipes that are perfect for Passover, and always a huge hit! The rest are Passover-specific. Every year for Thanksgiving, I made apple pie and of course, something with pumpkin. This year, we added a chocolate dessert to the menu and it was pretty amazing. While this tart has a lot of steps, it’s easy to put together and the finished product is a stunner. 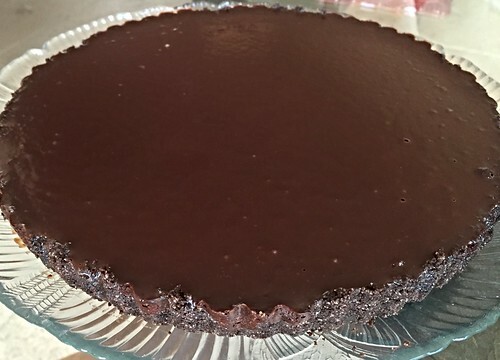 It’s moist, very rich, and super chocolaty, so you’ll want to make sure to cut slices thin! I wish I had a better photo, but it was taken in a rush! Bring cream to a boil, then pour over chocolate in a bowl and let stand 5 minutes. Gently stir until smooth. Whisk together eggs, vanilla, and salt in another bowl, then stir into melted chocolate. Pour filling into cooled crust. Bake until filling is set about 3 inches from edge but center is still wobbly, 20 to 25 minutes. (Center will continue to set as tart cools.) Cool completely in pan on rack, about 1 hour. Bring cream to a boil and remove from heat. Stir in chocolate until smooth. Stir in corn syrup, then warm water. Pour glaze onto tart, then tilt and rotate tart so glaze coats top evenly. Let stand until glaze is set, about 1 hour.